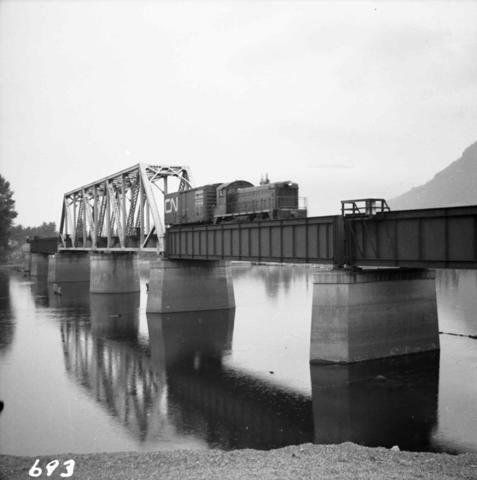 Photograph depicts the Canadian National Railway (CN) line crossing the south Thompson River. Kamloops Junction and Kamloops city are joined by a 2 mile spur, which crosses the river as shown. The view in the photo is looking north from the site of the former fort.